Protein shakes can do more than just provide balanced nutrition. Getting into the shake habit just might improve your eating habits, too. There are plenty of reasons why protein shakes are popular. They can provide you with balanced nutrition that can replace a meal, they’re quick to make, and you can get creative and customize them with all kinds of add-ins. Those are all great reasons, but there are other ways that protein shakes can improve your diet and eating habits. 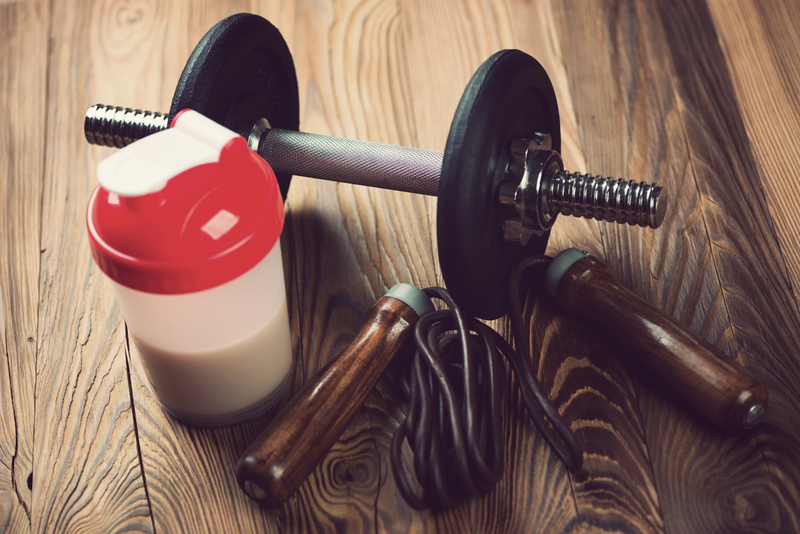 Including protein shakes in your diet can also address many common obstacles to eating well, as well as help you achieve and maintain a healthy weight. Count your calories accurately. Keeping track of your daily calorie intake is an important key to weight management. But it’s not easy to do; most people underestimate their calorie intake by 20% or so. Part of what makes calorie counting difficult is that it requires you to accurately weigh and measure everything you eat. Plus, you need to account for all the little details, like how the food is prepared or what condiments you eat with it. The beauty of protein shakes is that they’re usually made up of just a few ingredients that. are easy to measure. That allows you to get an accurate calorie count of the finished shake. Include more fruits and vegetables in your diet. Customizing your protein shake by adding fruits and vegetables allows for almost endless variety—and you can easily add a serving or two to your shake. To make this quick and convenient, keep a variety of frozen fruits on hand in your freezer. And try adding veggies such as fresh or frozen spinach, carrots, kale or winter squash to your shake. Establish regular mealtimes. Many people have erratic eating patterns because they just don’t make time to plan and prepare what they’re going to eat. As a result, they may end up skipping meals or snacking more. There are few things that are easier to prepare than a protein shake. 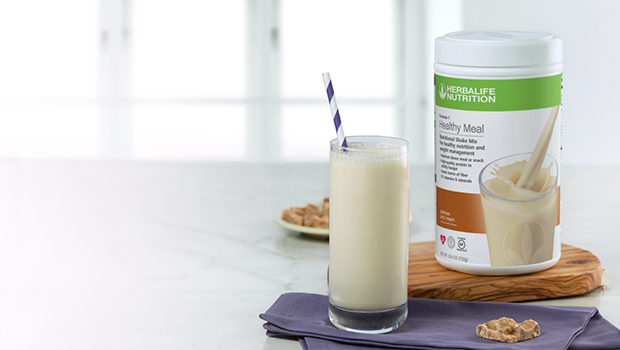 When you’ve got your protein powder, your liquid “mixer” and maybe some fruits or vegetables to add, you’ve got balanced nutrition in a glass in minutes—and no excuse for skipping meals. Control portion size at meals. A protein shake is naturally portion-controlled, which can help you in a couple of ways. First, when you use your protein shake as a meal, your portion is defined for you. Having a protein shake at one meal might also help you control your portion size at your next meal, too. Also, if your shake is nutritionally balanced and provides protein and carbohydrates to keep you satisfied from one meal to the next, you won’t be famished when you do sit down to eat. And that can make it much easier for you to control how much food you put on your plate. Meet nutritional needs. No matter how careful you are with your food choices, it isn’t always easy to make sure you get all the nutrients your body needs every day. A protein shake made with milk or soy milk and the addition of a fruit or vegetable can help you meet your needs for several nutrients, including protein, calcium, vitamin D and fiber. And many protein shake mixes have vitamins and minerals added, which boosts nutrition even more. Eat better, even on the run. When you’re on the run and hunger strikes, you might be tempted to dart into your local fast food place for quick satisfaction. But it can be challenging to find a healthy, balanced meal when you’re on the go. If you let yourself get too hungry, you’ll probably just grab the first thing you can—which may not be the healthiest thing. The fact that protein shakes are portable is a huge plus. Once your shake is blended, it’s ready to go—whether you’re on your way to work or school, running errands, or heading back to your desk at lunch. Protein shakes can be quick, healthy, convenient and delicious. What more could you ask for?